The Ritz Academy is an annual structured three or five year supervised programme offering the chance to work alongside one of the most highly skilled teams in the hospitality business. The Ritz Academy’s aim to develop its participants into tomorrow’s hospitality leaders, who will have a positive impact within the industry. To apply to this year’s academy, please click here to fill up the application form. Applications close on 31st August 2018. Below are some of our present Ritz Academy trainees. 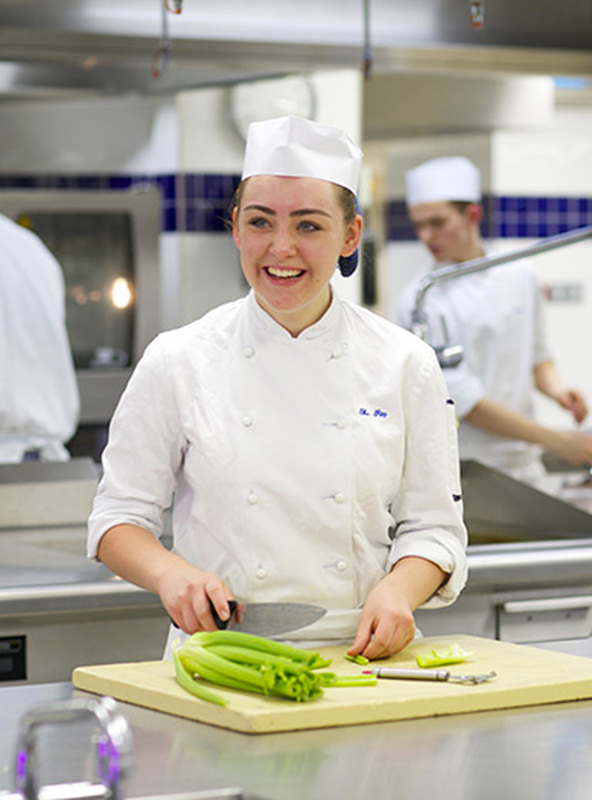 Surrey-born Emily Lambert started The Ritz Academy when she was 17 in The Ritz Restaurant. She was in the midst of college studying maths, biology, PE and chemistry when she heard about The Ritz Academy. Having always been excited by the world of food and with the dream of one day owning her own restaurant, Emily jumped at the opportunity. She is inspired by Jamie Oliver, who also started his dream at a young age. She has had previous experience working at The Anchor in Surrey and is now fully immersed into The Ritz professional way of life and dedicated to making progress. In her spare time, Emily is an avid golfer with a decent handicap of 18. She also wishes to continue learning Spanish in her spare time. During her training programme, Emily expressed an interest in wines and has now successfully finished her Ritz Academy programme. She now works as a Sommelier in our Michelin-starred Ritz Restaurant. James Hayes was proud to have been placed in Front of House for his introduction into The Ritz Academy when he was 18. Surrounded by some of The Ritz London’s most long serving employees including concierge Michael De Cozar who has been with the hotel for over 44 years, James has fully immersed himself into the programme. Already with his level three in travel and tourism achieved, James was working in Premier Inn in Watford. 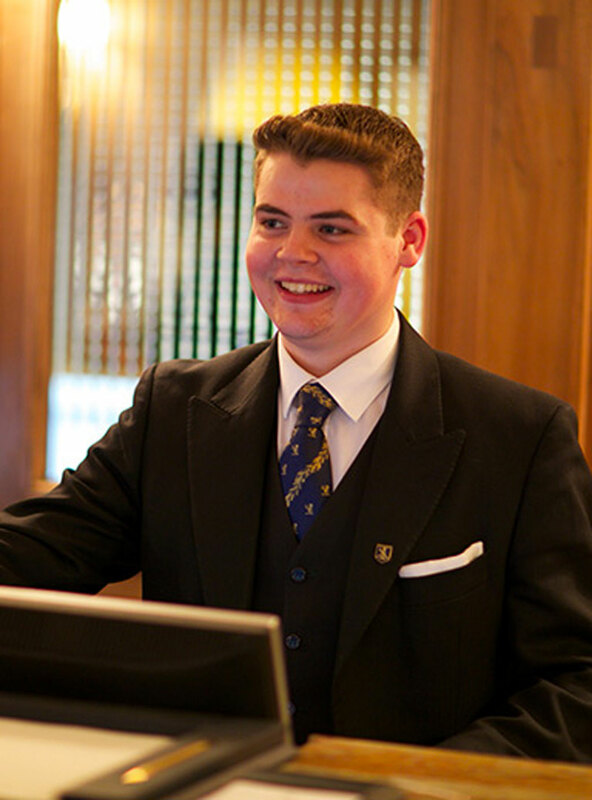 Having always wanted to work in a hotel, he was overwhelmed when he was offered a place in The Ritz Academy, commenting that the most exciting part is ‘I can see myself working at The Ritz London for life as a fully-fledged member of the Front of House team’. Taking inspiration from his father who successfully started his own business through hard work and dedication, James is fully committed to perform to his maximum potential for the duration of the academy for both himself and to make his father proud. When back at home in Watford, James likes nothing better than to support the Watford football team, a hobby he enjoys with his dad. Family orientated Jodie Connor has begun her Ritz Academy adventure in Housekeeping. Jodie dreams of one day owning her own family-run hotel in Devon and jumped at the chance to apply for a place at The Ritz Academy to gain the necessary experience. Jodie has previously worked in pubs near her home in south-east London and at the Bromley Court Hotel in Kent, where she worked on reception. Inspired by her partner managing a pub and her brother, who is a Chef, Jodie is excited about being able to experience every aspect of The Ritz London, which will be invaluable when she runs her own hotel one day. She is a devoted reader of romantic novels and loves to spend time with her nieces outside of work.